What happens when you take an old fiddle tune, play it on the mandolin, add some nifty embellishments and then slap on a layer of jazz chords? Great music... that's what! 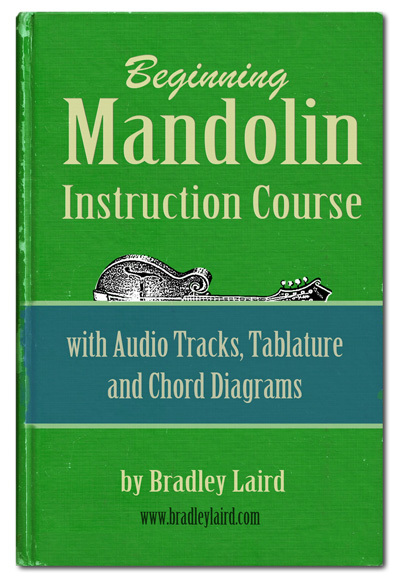 Would you like to try out one of my Premium Download mandolin lessons? You may have worked with my YouTube freebies and the free mandolin lessons on my website but perhaps you haven't tried one of the "real lessons". I'll send you a download link for the zip file which contains all of that. (I'd suggest you use your computer, not an iPad or smart phone) You'll have a lot of fun learning those jazz mandolin chords even if you already know the basic melody. If you like the way I teach and see the value in good mandolin lessons which you can watch over and over until you get it (try that with your local music store teacher) I hope you will try my other lessons. The complete list is found here on my website. If this is just a little ahead of your current ability you need a good beginning course in playing the mandolin. Here is my Beginning Mandolin Instruction Course. That will get you going pretty quick. You'll also find my free lessons over at http://www.bradleylaird.com. Enjoy!